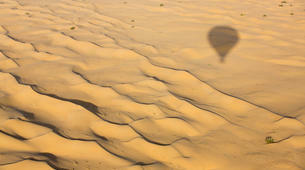 Explore the world’s second largest desert from the air on this hot air balloon flight in Dubai. 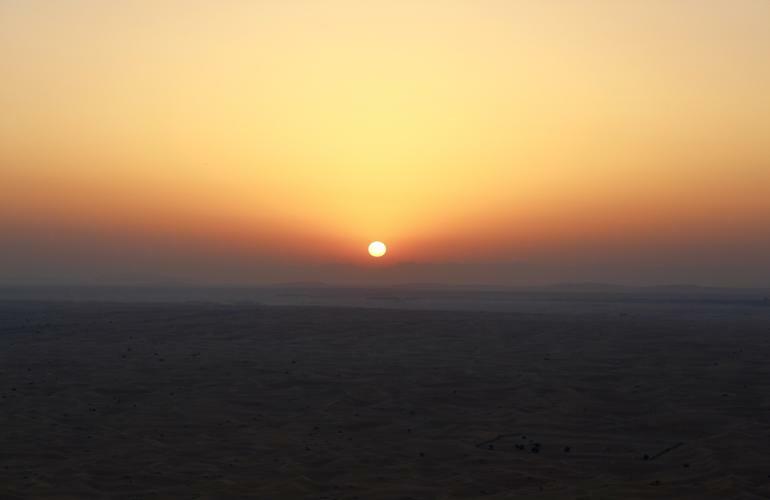 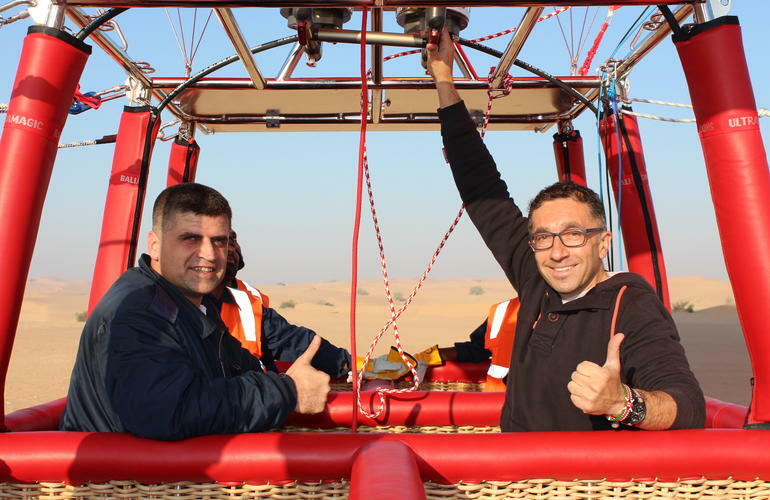 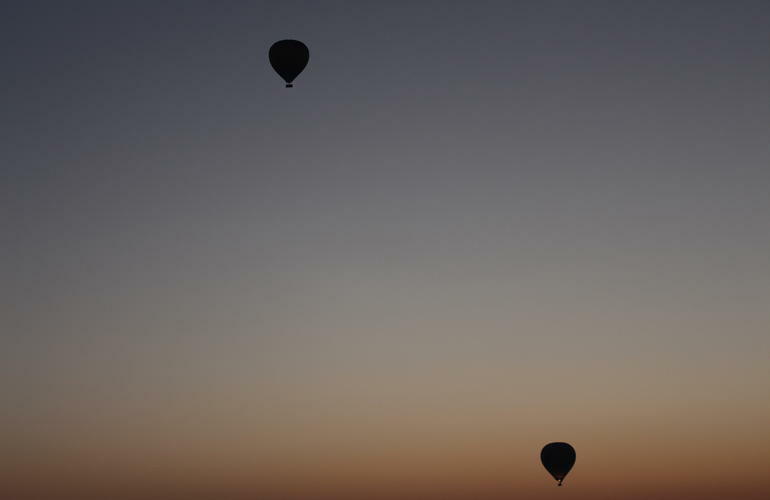 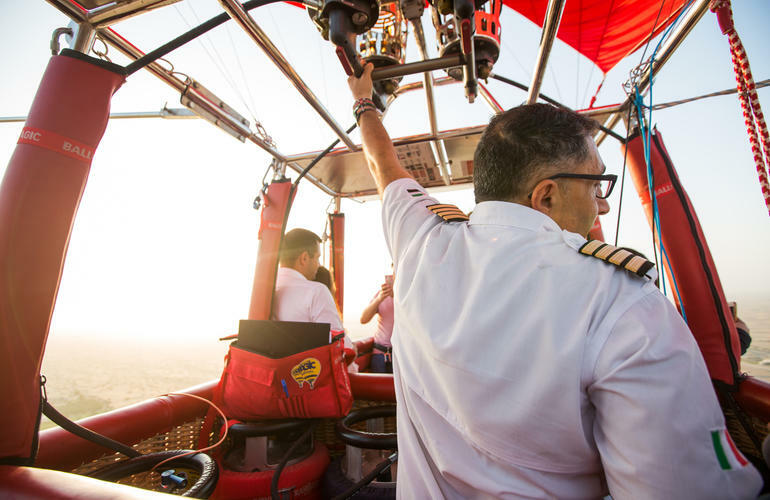 Soaring 4,000m in the air at sunrise, discover the Arabian Desert like never before on this scenic hot air balloon flight. 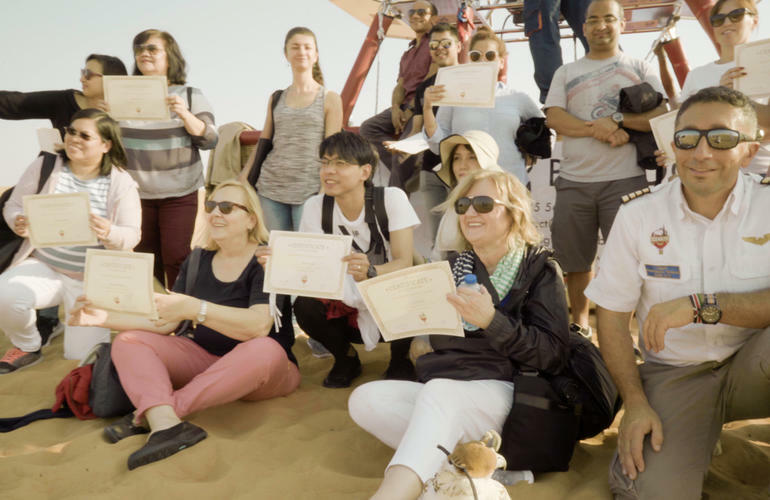 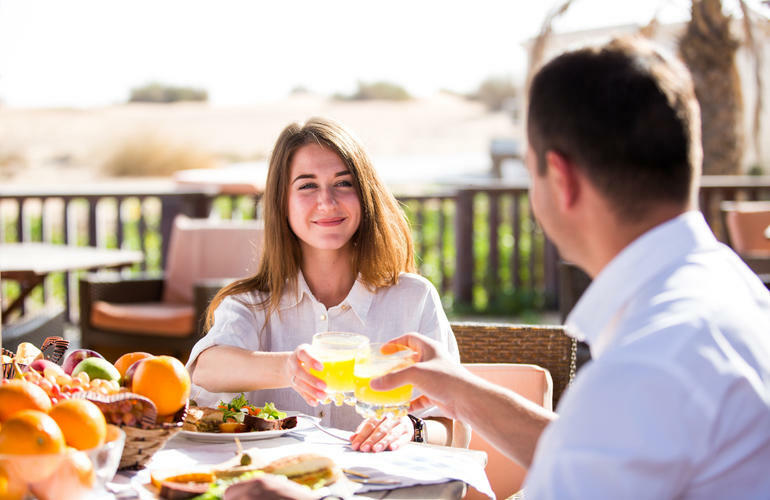 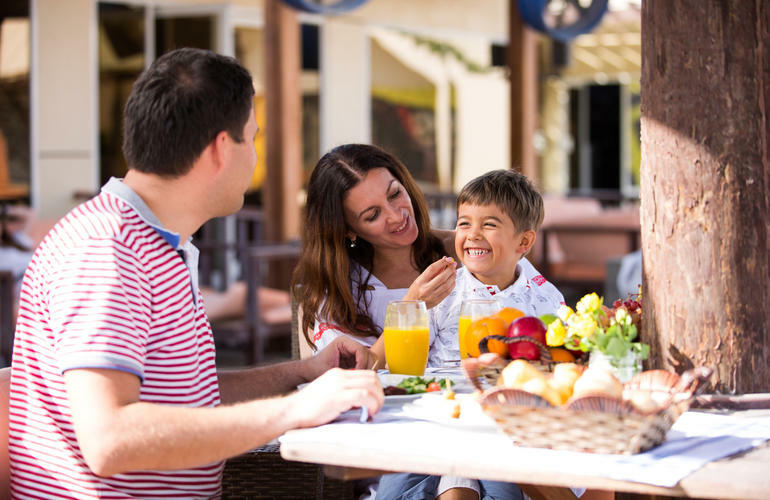 Witness thousands of undulating dunes by first light – spotting early morning paw prints in the sand, tracing the changing contours of the landscape against the backdrop of modern Dubai. 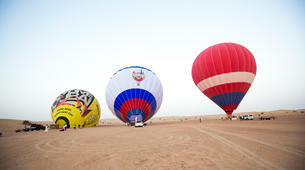 This activity takes place in the Margham Desert (Dubai Al Ain road near Exit 47). 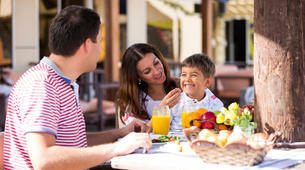 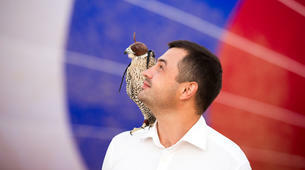 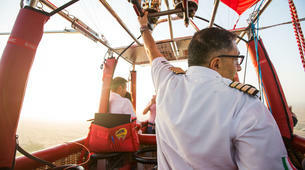 It can be reached by private transfer from the CBD and beach resorts within 45 min/1 hour depending on pick up location. 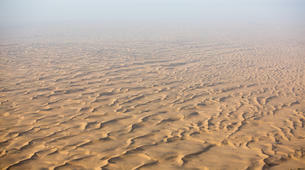 Part of the Dubai Desert Conservation Reserve, it is located in the UAE’s first and largest national park. 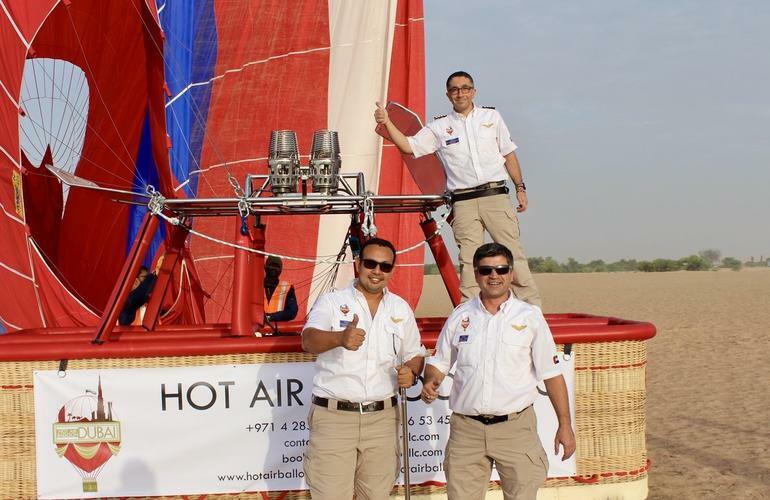 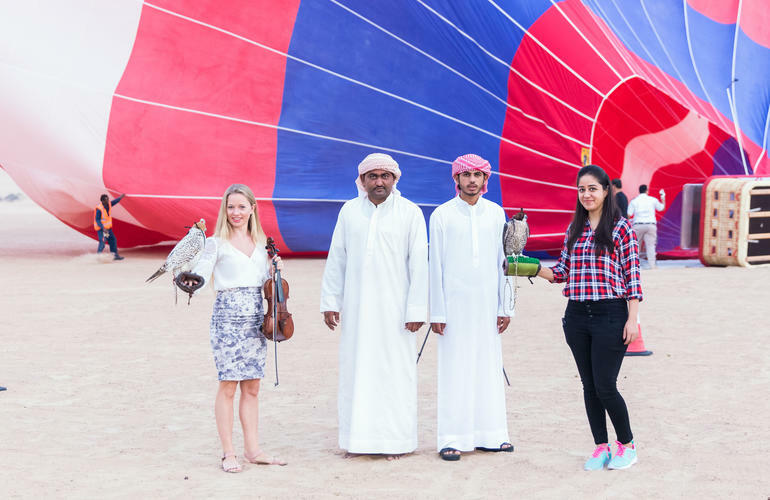 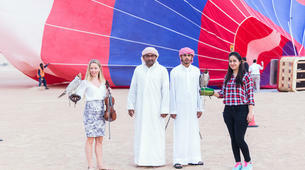 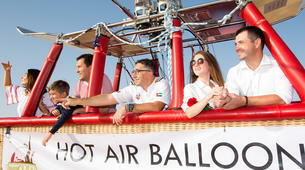 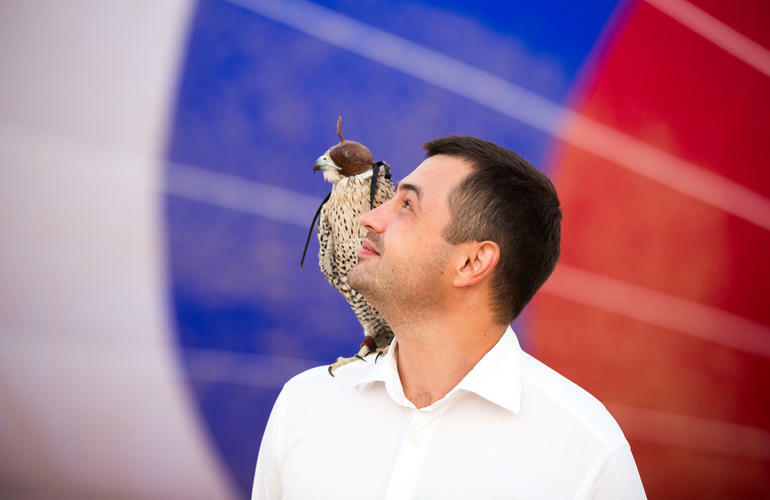 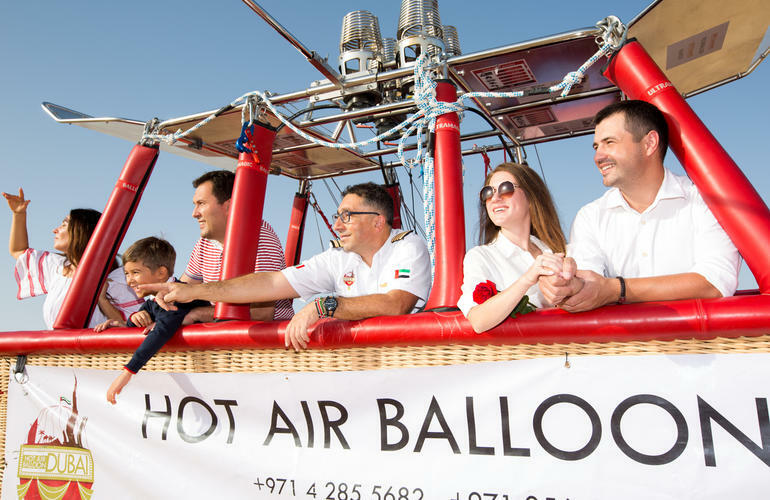 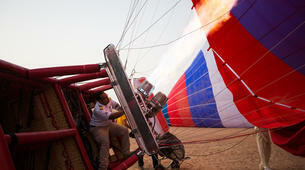 Meet the ground staff at the activity base in Margham for this sunrise hot air balloon flight in Dubai. 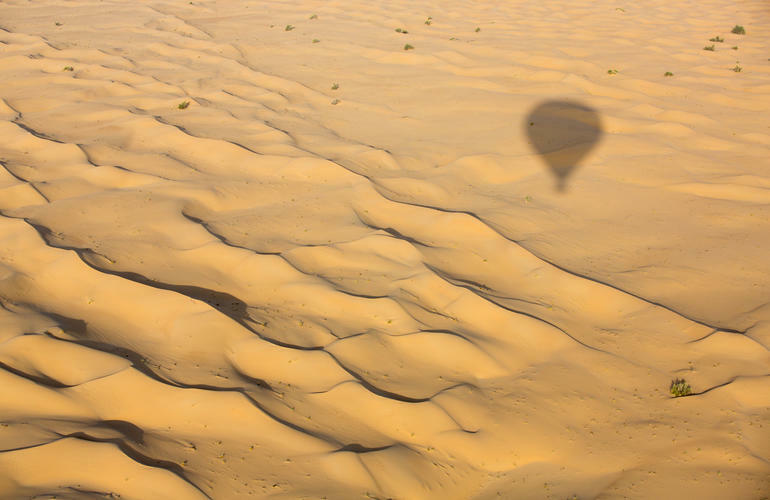 A stunning experience in the UAE’s first national park, this 4-hour experience captures the magic of the Arabian Desert at its finest. 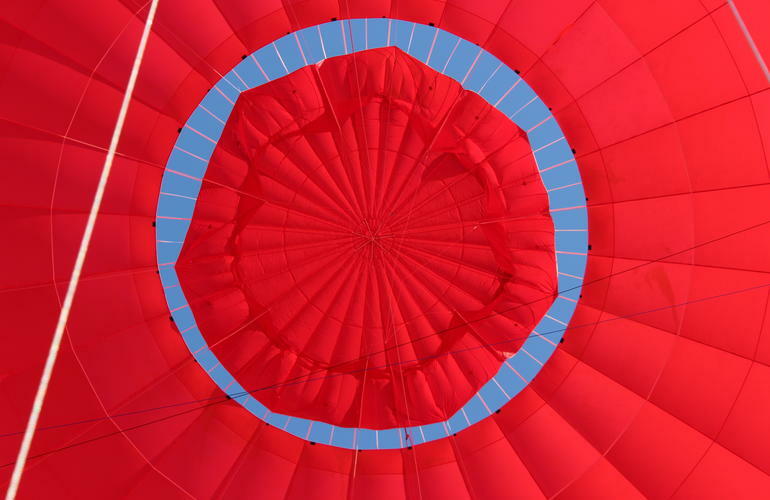 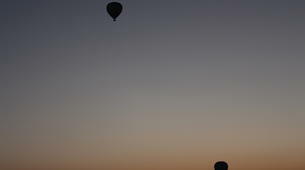 The awakening of a new day, enjoy morning refreshments as your pilot inflates the balloon and the team ready the basket. 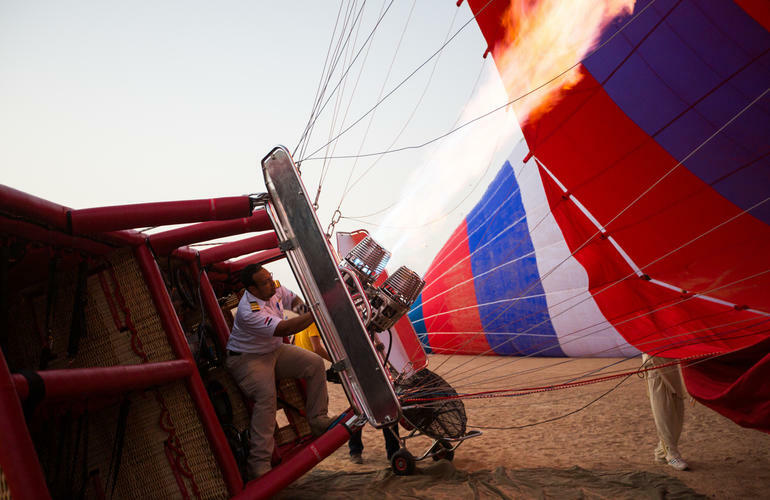 Stepping inside, watch as they release the balloon and you start to ascend over the area’s iconic sand dunes, gliding up to an altitude of 4,000m. 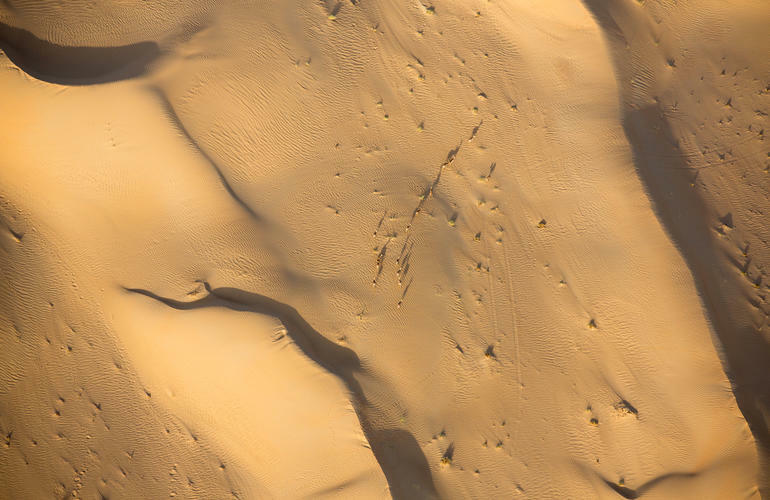 As the sun starts to warm the golden peaks that punctuate the landscape, learn more about the area’s importance as a conservation project, protecting endemic species of lynx, oryx’s, gazelles, & desert rabbits. 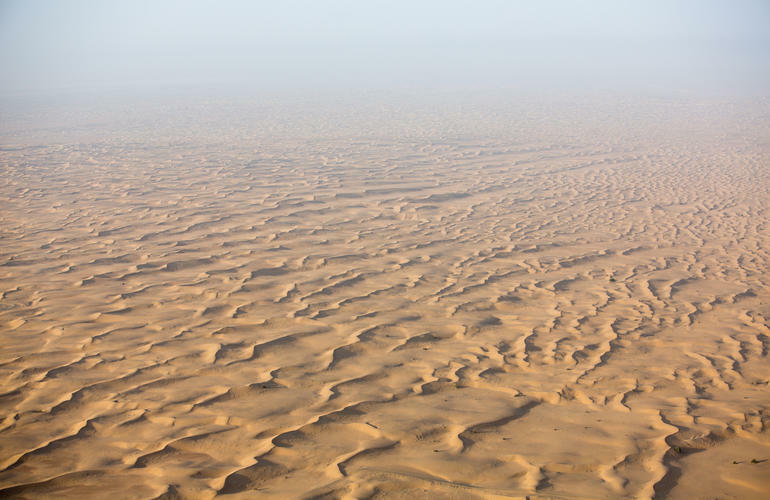 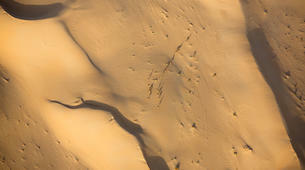 Still an important trade route for Bedouin caravans, scan the horizon for camel prints in the sand – gliding up to 20km to a safe landing area where the ground staff will be waiting. This activity operates at sunrise during the months of September – May. 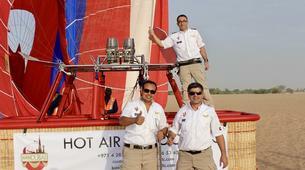 Balloon flying time is around 1 Hour, depending on wind & weather conditions. 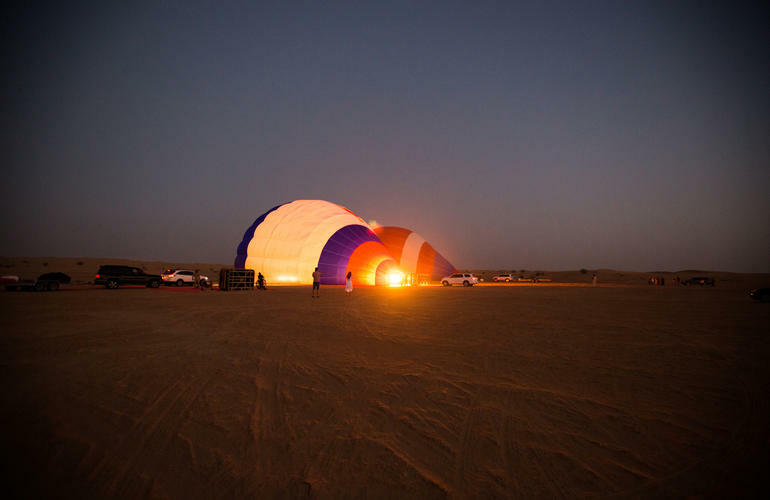 Ground crew continuously follow the balloon and once we land they will bring us back to the breakfast area at Skydive Margham Desert. 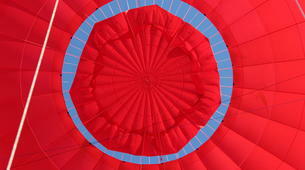 Weight restrictions apply. Pick up from Deira City Center, Burjuman Mall and Dubai Outlet Mall.